Forest School is an inspirational process that offers children, young people and adults regular opportunities to achieve and develop confidence through hands-on learning in a woodland environment, nurturing an understanding and respect for natural places. Participants experience nature at first hand through play and a series of engaging and achievable tasks.The forest school experience brings learning to life and improves an individuals ability to work co-operatively while offering the opportunities to take risks, make choices and initiate learning. And have lots of fun getting covered in mud! 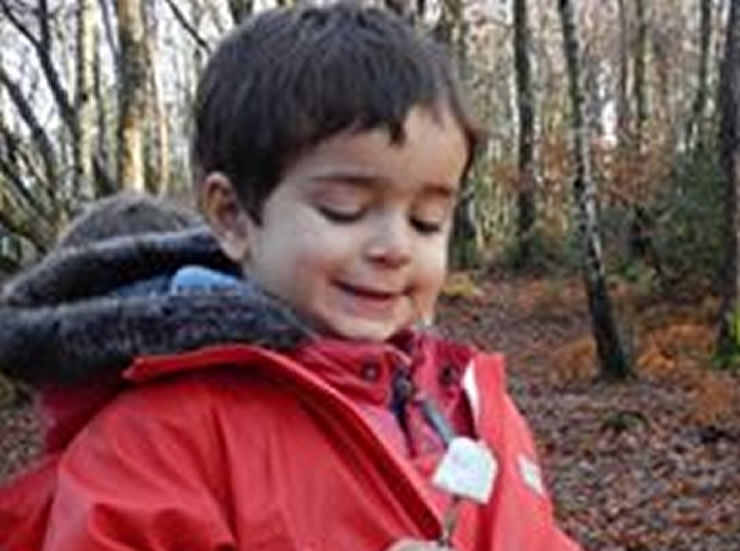 Amberley Nursery and Forest School will instil a love of the great outdoors. Inspirational, stimulating, hands on experiences will develop self-esteem, confidence and responsibility. The use of the woodland setting, the various real tools and the natural resources will bring learning to life, creating an understanding of the balance of nature and the finite resources around us. Identifying individual learning schema’s to enable the children to learn most effectively and promote success. Planning for every child in the early session stages, then letting the children lead the sessions through their own interests. Taking informed, self-calculated risks and choices to ensure their groups safety, developing sympathy and empathy to the group around them. Working as a team to solve problems, fostering communication and negotiation skills. Mark Ryalls is our Forest School leader, passing his NVQ3 with the Sussex Wildlife Trust in 2013. He is assisted on every visit by another member of staff, the same staff member on each day to ensure continuity for the children. We are extremely grateful to the Highwoods Preservation Society for allowing us to do our Forest School activities in the Highwoods, a Scene of Special Scientific Interest SSSI. The HPS organise regular volunteer work parties in the woods, coppicing, heath clearing, fence making and path clearing are just some of the fun activities. Mark attends when he can, if you have a spare couple of hours they would love an extra pair of hands!